MonsterInsights vs. Google Analytics - What's the Real Difference? MonsterInsights vs. Google Analytics – What’s the Real Difference? Are you wondering what the difference is between MonsterInsights and Google Analytics? Often, beginners confuse MonsterInsights and Google Analytics thinking that they are two separate analytics services. That’s not true at all! Google Analytics is a web analytics service offered by Google to help you understand your website visitors whereas MonsterInsights is a powerful WordPress plugin that makes it effortless to connect Google Analytics with your WordPress site. Since this is a common question that we get from beginners, we decided to write a complete article to explain, in-depth, the real differences between Google Analytics and MonsterInsights, how to use them, and the benefits of using them. Let’s start with an overview of Google Analytics first. Google Analytics is a free web analytics service from Google that tracks all your website traffic and provides you with useful information about your website visitors. 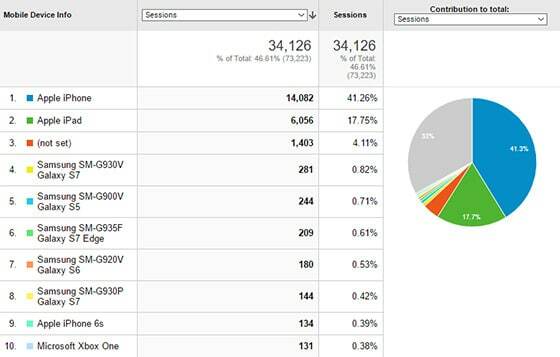 Which pages are the most popular on your site? What’s your site’s speed on different browsers, countries, and pages? How many visitors converted into leads or customers? What is your eCommerce conversion rate? The challenge is that, to set up Google Analytics properly and see all of the above insights, you’d need to hire a developer or know how to write code. Not to mention, you would have to spend months learning the Google Analytics interface, so you can actually see the stats that really matter. As you can imagine, most business owners want to focus on growing their business, not learning how to code or becoming analytics experts. That’s what made MonsterInsights popular. 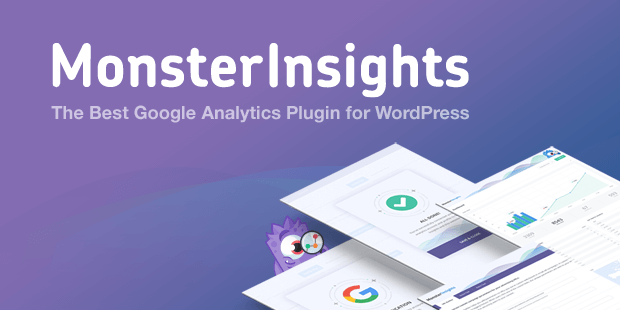 MonsterInsights is the most popular Google Analytics plugin for WordPress because it allows you to easily connect your WordPress site with Google Analytics (without hiring a developer or write any code). With the click of a button, you can set up sophisticated event tracking, eCommerce tracking, form tracking, custom dimension tracking, and more. In the past, you would have to spend thousands of dollars to hire a developer to properly setup all these tracking tools. Not anymore! MonsterInsights makes it easy for you to see all the stats that matter in a single place inside your WordPress dashboard. That way, you don’t have to spend months learning the complex Google Analytics interface. 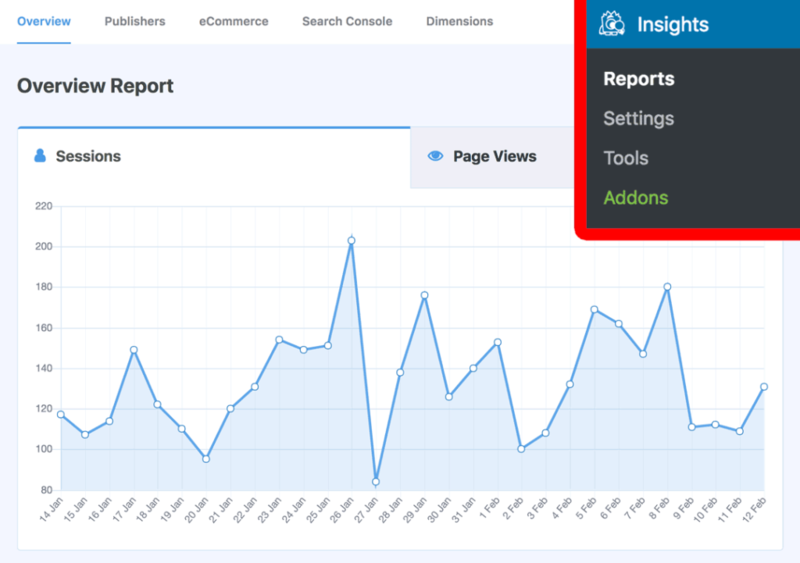 MonsterInsights makes it effortless to connect Google Analytics and WordPress. If you can point-and-click, then you can set it up. That’s why over 2 million website owners use MonsterInsights to connect their WordPress websites to Google Analytics. Our goal at MonsterInsights is to help you grow your business with confidence by making data-driven decisions from the stats that matter. With MonsterInsights, it’s really easy and quick to set up Google Analytics on your WordPress site. All you need to do is to create a Google Analytics account and connect it with your WordPress site. It takes just a just a few clicks to complete the whole setup process. And, you’ll be able to see your website reports in just a few minutes. MonsterInsights allows you to see all the important metrics right in your WordPress dashboard. Therefore, you don’t need to navigate away from your WordPress dashboard, or login to other accounts. MonsterInsights also shows specific reports for Publishers, eCommerce sites, Search Console, and Custom Dimensions. If you’re not using MonsterInsights, then you would need to open your Google Analytics account in a separate tab to view your website reports. Not to mention, you would also need to know where to look to find the right stats in Google Analytics. MonsterInsights makes enhanced eCommerce tracking easy. With a single click, you can start tracking sales from your WooCommerce and Easy Digital Download stores (no coding necessary). 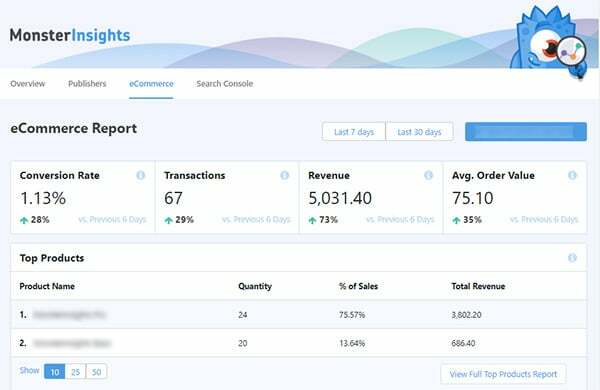 MonsterInsights also shows you overall conversion rates, top performing products, and other useful insights about your store right inside your dashboard. Prior to MonsterInsights, users would have to hire developers and pay thousands of dollars to properly set up enhanced eCommerce tracking. MonsterInsights has eliminated this aggravation for WordPress users. If you have a website offering file downloads, then it’s crucial to know whether your users are actually downloading them. 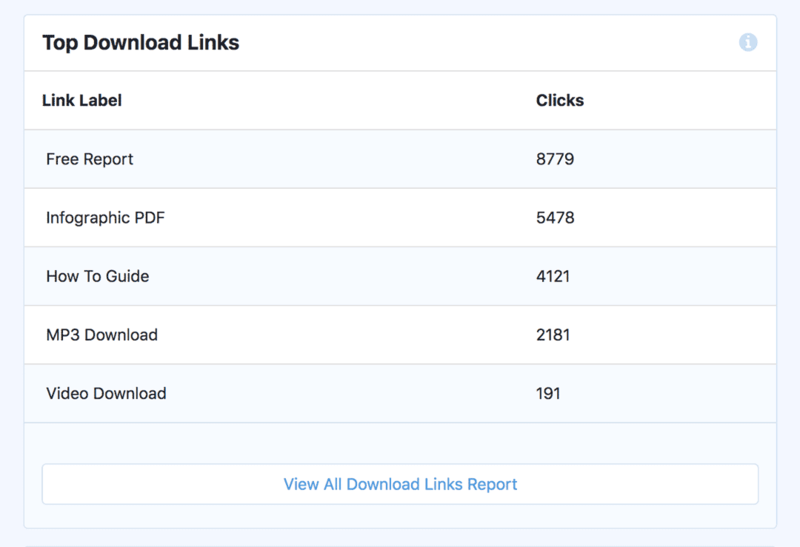 MonsterInsights makes it easy to accurately track your file downloads. Google Analytics, by default, doesn’t track downloads. Although Google AMP can boost your site rankings, it makes tracking mobile traffic a bit imprecise. Therefore, MonsterInsights has created an addon for Google AMP tracking. It lets you track all your mobile visitors to AMP-enabled pages accurately. Forms are very important for business websites because they are your means of collecting leads and conversions. That’s why it’s extremely important to know how well your forms are converting. MonsterInsights Forms addon allows you easily track your form views and conversions. It works well with WPForms and other popular WordPress contact form plugins. MonsterInsights also offers other advanced tracking options like affiliate link tracking, author tracking, category tracking, custom post types tracking, custom dimensions tracking, and more. Google Optimize addon helps you to integrate Google Optimize with Google Analytics. EU Compliance addon helps you to improve compliance with GDPR and other privacy regulations. More importantly, you can install and enable these addons in just 2 clicks. If you want to know more benefits, explore MonsterInsights’ features. MonsterInsights vs. Google Analytics: Which One Is Better? After reading this article, you can probably see that it’s not one or the other. You need both solutions to properly enable analytics on your WordPress site. MonsterInsights simplifies the whole process of setting up Google Analytics and viewing reports for WordPress sites. It’s undoubtedly a better option than manually adding code to your site. If you want to grow your business with confidence, then you need to get started with MonsterInsights today. We believe it’s easy to double your traffic and sales when you know exactly how people find and use your website. MonsterInsights show you the stats that matter. We’re looking forward to helping you take your website to the next level.